I chose this particular production as Moogle was familiar with the story and so hopefully wouldn’t be too baffled. She’s been studying ballet for three years now but she’s never actually been to see a whole show live. 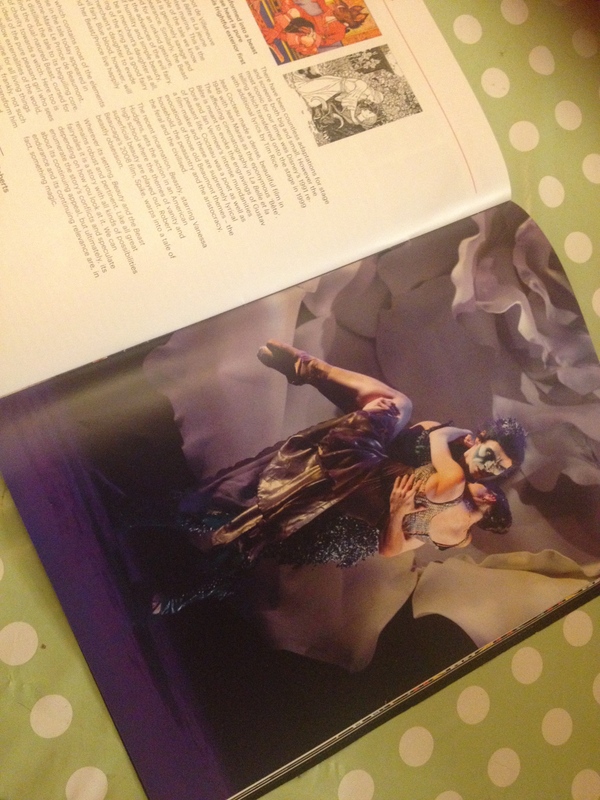 I researched the ballet thoroughly on the Northern Ballet website, to check this was a suitable production for a child. From all I could see, it looked perfect. After dinner, it was time to head to the theatre. Nottingham’s Theatre Royal is still one of my favourite theatres to go to – it’s so beautiful and traditional. It seemed a particularly appropriate place to see a ballet. We picked up a programme and a booster seat for Moogle and headed to our seats. I had completely forgotten but we were on the front row again which Moogle was very excited about. Now, I am no expert on ballet so I really couldn’t tell you if the dancers were technically any good. 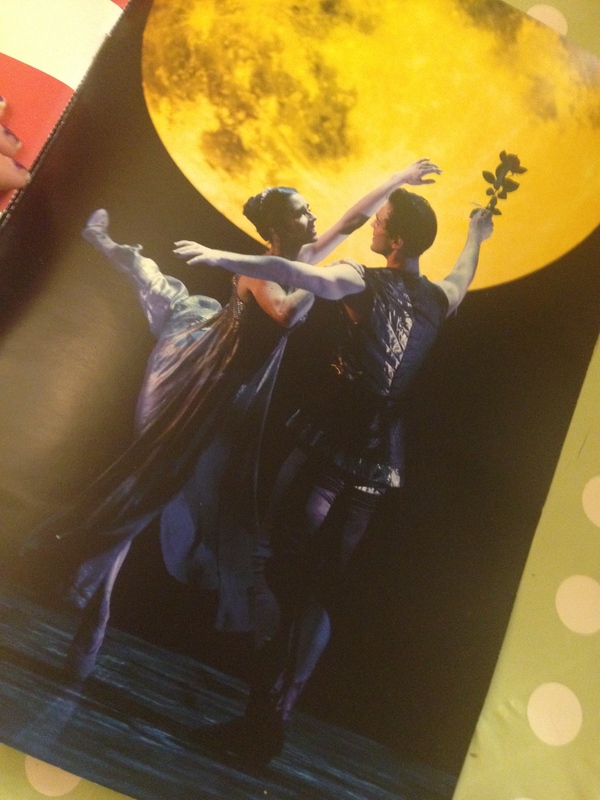 As they are part of a professional ballet company, I am assuming they knew what they were doing. They certainly looked fantastic! The production was choreographed and directed by David Nixon and the music was arranged by John Longstaff. The music used in the ballet was interesting, some I was familiar with (such as the Danse Macabre), some I wasn’t, but all of it fit the mood of the performance perfectly. All information below relating to the casting of the production are taken from the information given in the programme so I apologise if there were last minute changes and I incorrectly credit someone. The role of Beauty was danced by Dreda Blow. She was so graceful and elegant, the quintessential fairytale heroine. I felt she perfectly captured the different aspects of Beauty’s character, from her timid vulnerability to her determination in the face of the Beast’s anger. The vain and conceited Prince Orian, who is transformed into The Beast was portrayed by Guiliano Contadini. I absolutely loved him as the arrogant, preening prince but it was also nice to see his softer side as the ballet progressed. Ashley Dixon was simply magnificent as The Beast. He commanded the stage with strength and power and I was mesmerised whenever he was dancing. His characterisation of the animalistic side of the Beast was perfect and yet, he also managed to show a softer, more vulnerable side to his nature. The scene in which Beauty and the Beast begin to grow closer was particularly touching and both dancers really sold the relationship beautifully. Chantelle and Isabelle, Belle’s spoiled sisters, were played by Rachael Gillespie and Dominique Larose, although the programme doesn’t explain which sister is which! The sisters provided some wonderful comic moments to the ballet. Both girls were delightful in their roles – a really joy to watch! Victoria Sibson danced the role of La Fee Magnifique, the evil fairy who curses the Beast, while Hannah Bateman portrayed La Fee Luminaire, her sister and good fairy who tries to help Beauty and the Beast come together. Both dancers were extraordinary and expressed their characters well. Sibson’s wicked fairy was graceful but predatory while still showing deference to her sister. Bateman, on the other hand glided glamorously around the stage with all elegance of a 1930’s film starlet. I loved it when she silenced La Fee Magnifique with just a flick of her wrist, demonstrating such effortless strength of character in such a small gesture. Beauty’s father, who isn’t given a name in the programme, was played by Mlindi Kulashe. His role was understated and yet performed brilliantly. My favourite part was when he “told” the girls about his encounter with the beast. I’ll admit to being sceptical at first, but his movements were so expressive and clear that there was no doubt his daughters got the message! The role of Alfred, the Beast’s manservant was a minor one and yet Hironao Takahashi still managed to command my attention. Every movement was precise, not a moment was wasted. I couldn’t possibly write about all of the dancers in “Beauty and the Beast” and not mention the fabulous ensemble. They played a variety of different characters, including the Prince’s adoring fans, the sisters’ superficial friends and the Beast’s hideous servants. Their timing and characterisation was impeccable. One of the most amazing things about this production was the set design. I have rarely seen a production with such innovation and creativity. Particular highlights for me were the removals van, and the transformation of the beast’s castle from sinister and imposing to soft and whimsical. It was truly impressive. My only criticism (if you can really call it that) was that I wish they had taken just a little longer on the Beast’s transformation back into the Prince. The initial transformation at the beginning of the show was such a show-stopping moment that I had chills for ages afterwards. The scene at the end was much more gentle and quiet – it seemed a little lacklustre in comparison. Northern Ballet’s “Beauty and the Beast” is touring until January 2017. You can see all tour details on their website. I’d highly recommend this to both ballet aficionados and novices. It’s the perfect starter ballet for a young child as Moogle will attest to. 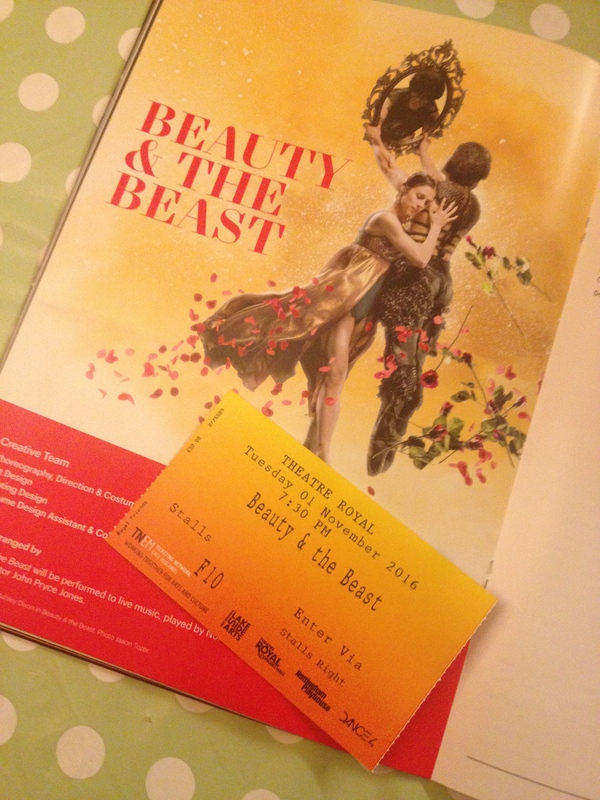 This entry was posted in Theatre Reviews and tagged ballet, beauty and the beast, blogger, northern ballet, nottingham, theatre review.